The NZ Winter Energy Payment – Do you qualify? Winter Energy Payment in NZ – Do you qualify? Brrr… Well it is suddenly a lot chillier! Now that winter is well and truly here for many Kiwi households that means an increase in power and electricity bills as you look to heat your homes. Well the government has tried to do something to soften the bill blow by introducing the Winter Energy Payment to help to meet these winter energy bills. Lots of households spend more on electricity and power in the winter as they switch on the electric heaters and electric blankets in an effort to stay warm on a cold winter day. Power Compare and the Winter Energy Payment are both here to help with those bigger bills! Lets start with the Winter Energy Payment. This is a new initiative from the government to provide superannuitant, veterans and other eligible Kiwis with an extra weekly payment to deal with the more expensive energy bills that build up when you are spending money keeping warm, healthy and dry in the colder winter months. Who Can Get The Winter Energy Payment? Are you eligible for the Winter Energy Payment? Find out below where we have written up all you need to know about claiming the Winter Energy Payment in NZ as well as answering the most common questions. More than a million people will be able to get the Winter Energy Payment, including people receiving superannuation and Veteran’s Pension, as well as those on a main benefit so it is good news if you’re in one of these groups. Do I need to Apply for the Winter Energy Payment? In excellent news… NO. You don't need to apply. If you’re eligible and in one of the groups that qualify named above you’ll get the Winter Energy Payment automatically with your other regular payments from the Government – too easy! When does the Winter Energy Payment get paid? 2018 Winter Energy Payment – This will be paid from 1 July to 29 September 2018. 2019 Winter Energy Payment – This will be paid from 1 May to 1 October 2019. How much is the Winter Energy Payment? A single qualifying person will receive an additional $20.46 per week. Qualifying couples and families (defined as a person with dependent children) will receive $31.82 per week. In 2018, the Winter Energy Payment will be slightly less as it starts later than it will in future and there is no back pay. Recipients will receive the payments from July 1 to September 2018, for a total of 16 payments. In the future, the payments will be extended from May 1 to September, for a total of 22 payments. The payments are non-taxable and can’t be paid in a single lump sum. Still need to reduce your energy bill? If you are looking for more ways to save money on your winter energy bill and your electricity bill going forward than in addition to having the extra money in the bank from the Winter Energy Payment you could also have a fantastic bonus credit on your electricity bill when you switch power provider. 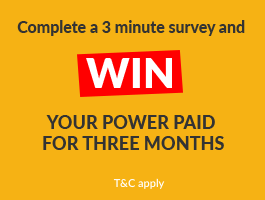 At Power Compare we have a number of great companies offering brilliant sign up bonuses when you switch energy provider. It is quick and easy and you could get up to $300 of credit off your energy bills. Compare all power deals NOW. If you are interested in switching Energy provider but don’t know how please give our friendly team a call on 0508 22 66 72. To learn more about the Winter Energy Payment, please visit the official page on the Government’s Work and Income website here.